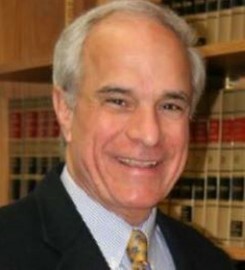 Sansone joined San Diego's Office of County Counsel in 1985 as a deputy county counsel. He was appointed chief deputy county counsel in 1994 and county counsel in 1996. During this tenure, he served as the county's lead attorney on employment and labor matters, and was the assigned legal counsel for the County Superior Court, Grand Jury, Board of Supervisors, and Chief Administrative Office. Prior to joining the County Counsel's Office, Sansone had a civil law practice focusing primarily in the areas of business and education law. He served as associate director of Financial Aid at the University of San Diego for ten years. Professor Sansone teaches in the areas of state and local government law and serves as a faculty supervisor for the USD Agency Internship and Externship Programs. Sansone served as the president of the Statewide County Counsels' Association, counsel to the Statewide California State Association of Counties, and as the governor's appointee to a Statewide Task Force to draft new legislation for the Superior Court personnel system. He also served as legal counsel to a statewide and two western regional professional university administrator associations. Submit changes to John Sansone's profile.